The leaders of the two Koreas planted a pine tree on the heavily fortified border dividing their countries on Friday. SEOUL: The leaders of the two Koreas planted a pine tree on the heavily fortified border dividing their countries on Friday as the afternoon session of their summit got under way. 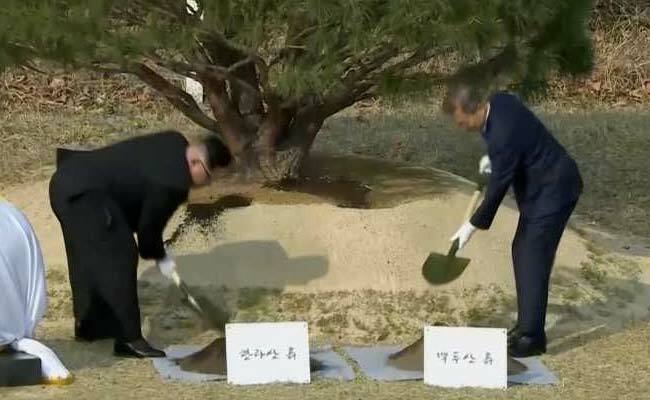 North Korean leader Kim Jong Un and South Korean President Moon Jae-in shovelled soil on the roots of the tree and unveiled a stone marker which read, "Planting peace and prosperity" above the leaders' names and official titles.